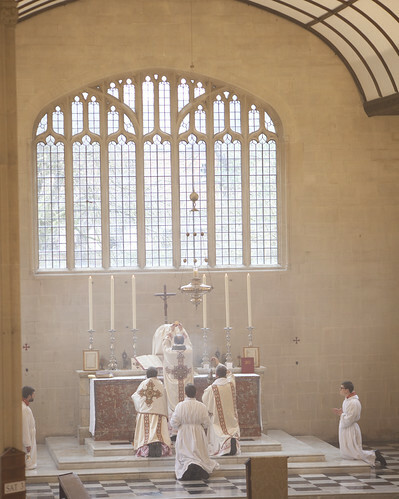 The Schola Abelis sang for a High Mass in the Dominican Rite at Blackfriars, Oxford, last Saturday. 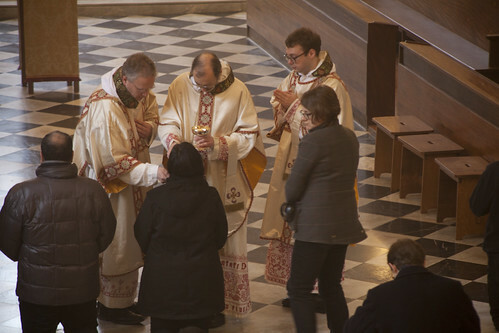 This Mass, celebrated just because the various people involved - singers, Dominicans - simply thought it would be rather nice, attracted fifty people. These Masses now happen near the beginning of each University Term. It was celebrated in honour of St Thomas Aquinas, whose feast day is this term (on different dates in the old and new calendars). 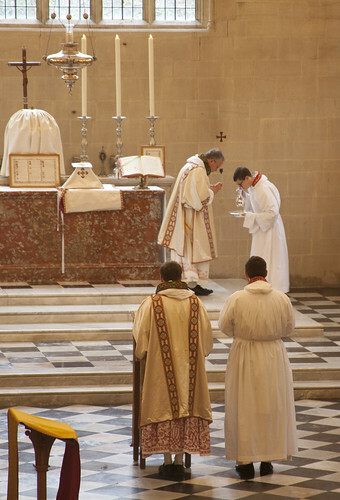 It is one of the great privileges of involvement in the Latin Mass Society that we can facilitate such devotional occasions. The LMS is about making good things happen! Although I must apologise for the inactivity of this blog, my time has in part been taken up with future events which will be advertised and reported here. 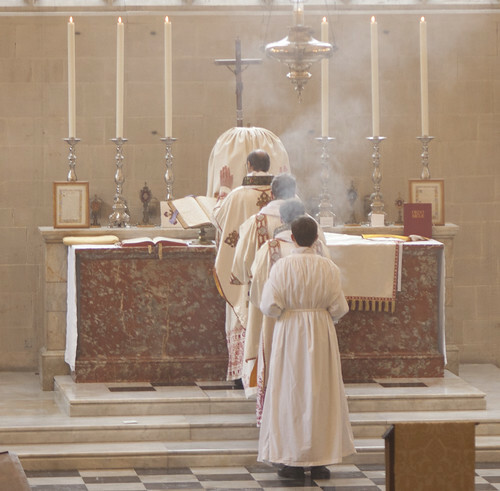 As I have said before on this blog, the ongoing crisis of the Church can stimulate us to exhausting efforts, and perhaps it must do so, but all such activity must be matched with spiritual respite. 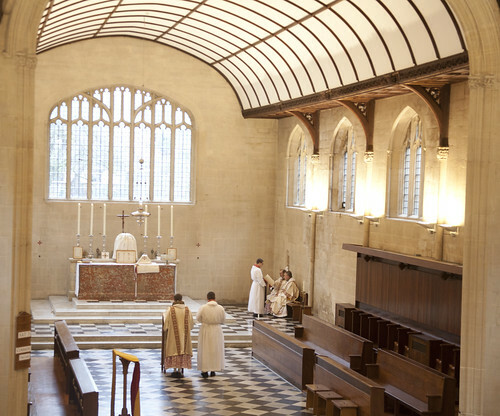 Attending Masses such as this one, and other more complicated events such as retreats and our Summer Schools in which I'm involved as an organiser, keeps me sane. Can't help noticing the empty choir stalls. Where were all the Blackfriars friars?